Team has morals off who wins? Does Spidey have morals off too? Spidey has spider-sense and intellect similar to Batman's level. Of course Spidey has very strong webs also (once restrained Wolverine and held back even Hulk for a bit). Spidey wins imo. I'm not sure how Spidey is gonna deal with Deadpool's regeneration though. If it's win by knockout then Spidey wins. Spidey can kill all of them except maybe Deadpool...that regeneration. I think Spidey might find a way of permanently ending Deadpool. If he doesn't, then it's stalemate because Spidey won't be able to overcome Deadpool's regeneration and Deadpool will find it difficult to tag Spidey. With this many teammates to distract Spidey, I think Canary can knock him out with her cry. @datstupidguy: I know, but his spidey sense doesn't make him unhittable. I'm going with the Team. Random encounter Bloodlusted? Canary has no reason to hold back with her cry. Spiderman may have alot in his Arsenal to give them a fight.. but the Spidey Sense won't help dodge EVERY SINGLE MOVE nor easily dodge Canary's Cry. Cap alone had the upper hand over morals on peter twice already in comics. I say Cap solos, if peter is morals on. Spider-man gets curbstomped against this team morals on or off. I doubt that this was the reason. Peter was pretty focus and tried to win that fight in the civil war issue . He said something like "If I fight like Spider I might have a chance here" then he continued fighting and used the spider-blades from the iron spider suit as his advantage, finally tagging cap. In the second fight, which was a Spider-man comic issue, I think from 1977 or 78 he was pretty pissed (not bloodlusted), because cap didint let him pass the road. he attacked cap and cap was countering his attacks just fine and send him several meters away with one punch. Morals on Spidey, Team Stomps. Morals off Spidey, the big threats are Batman, Deadpool, and Black Canary. Batman has so much gear that he may be able to survive while attracting Spider-Man's attention. Deadpool has a lot of plot devices in his teleportation bag, and Black Canary (as mentioned above) has the Canary cry which is quite powerful. Not sure how fast it travels, because then maybe he could avoid it. Exactly. Peter got past his fanboyism and finally decided to start taking the fight seriously, which he wasn't doing at first, as I'm pretty sure he wasn't ultilizing his webbing all that much, if at all, not to mention holding back. Honestly, this exact topic has it's own thread, the only real advantage Cap has is skill, he's outclassed everywhere else to such a large degree that his skill can't make up for it. So basically Spider-Man blitzes these guys until Dinah manages to land her Canary Cry on Peter since morals are off. Not really. he was focused, the entire time, but I finally found a chance to win, with his suit and adapted to caps fighting style with the blades, after cap hit him multiple times. He also utilized his webbing just fine, and even managed to web caps shield up. Skill was enough to hit those pressure points and get the upper hand. "If it was from that early, then this is countered by the fact that Peter has had several amps in power and has much more experience in skill since the 70's. So, it's not really worth mentioning"
I highly disagree on that statement as well. spider-man was one of marvel heavyweights back then. He had way more impressive feats. He got kinda nerfed now ... his strength and speed feats were overall superior. cap getting the upper hand over peter in the 70s-80s is more impressive than now. Spidey's armor should ensure the cry doesn't hurt him too much. He was quite fine with Clash's sonic gear (though he was definitely being hurt, he wasn't overly so) which was destabilizing a skyscraper behind him. again, Peter was still holding back at that point. I'm pretty sure Peter's physicals have gotten actual amps over the course of his career. I'm no expert, but I can think of at least 2 occasions in which Peter has gotten actual increases to his power. They were both morals on and holding back. he couldnt beat cap morals on without his suit. he made that pretty clear with his statement. Cap started to run away, because he had to help his team out. "again, Peter was still holding back at that point." yea thats why I said morals on cap wins, because they hold back. "I'm pretty sure Peter's physicals have gotten actual amps over the course of his career. I'm no expert, but I can think of at least 2 occasions in which Peter has gotten actual increases to his power." No, not really. As far as I know, he got pretty much nerfed. He was way stronger and faster, even capable of shredding iron mans armors with his punches into pieces or being able to humiliate a bunch of x-men members at once, including members he cant even solo now. You could argue that Iron Mans armors were weaker, but he was still capable of taking hits from thor and hulk without much of a problem. Spider-man is definitely not as strong or as fast as before. Probably more skilled but overall not as powerful. You're right... he's smarter than Bruce ever thought of being. Secondly the team doesn't stand a chance in any situation. He's easily 100 times stronger than all of them, faster than all of them by a factor of 30~40 times, Would perceive them as if they are moving in slow motion. Bruce and Cap are physically no match for him, neither is Daredevil, Canary would admittedly try the canary cry. And I admit it would probably hurt Peter. Fact is it's even done damage to Superman... but because Superman has Superhuman hearing. 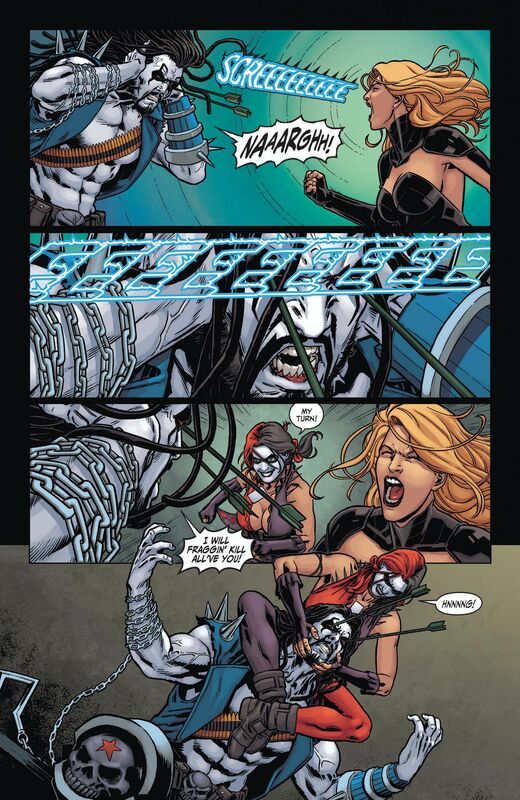 Canary is more than likely going to render DD deaf as well as blind if she uses it on the same Battlefield as Matt. As far hurting Spidey goes though... the Cry will give him a hell of a headache but rather little physical damage as Peter's resistance to blunt trauma, which a vibrational attack is is extremely high, he's tanked blows from The Rhino, The Hulk etc. And all Spidey has to do to shut her up is webbing to the mouth. The biggest challenge is Deadpool with his regeneration he'd be the hardest to KO. But Peter knows Wade can take a punch, or several and even morals on would cut loose on Wade. And him actually getting away from Peter reeks of PIS. Not to mention, it was Civil War. It wouldn't make much sense for Spider-Man of all people to be the one to defeat Cap and end the whole event. No, at this point, even morals on, Peter should clean house, by vine rules. Scans of any of this? This sounds like either high end showings, or PIS. Also @g2_ could you confirm on whether or not Spider-Man has gotten actual amps since the 1970's? You know Parker pretty well, hell, if you could also shed some light on lots of the things mentioned here, it'd be great. Now this, I really have to see scans for, because Peter tanking actual hits from either of those two sounds like massive PIS. Hell yeah!!!!!!!!!!!!!!!!!!!!!!!!!!! Someone is asking me for help. You came to the right person, brother. If you are talking about physical emps, he lost every upgrade, but he got some tech upgrades, like a bulletproof suit, and new web shooters. @blackestnight93: He might beat him, but Spider-Man has the edge due to physical advantage. Fixed. The Spider gets squashed. Well Spiderman already beat down the X-men... twice, first time Collosus, Rogue, Storm, Wolverine, Nightcrawler, Cyclops were there which I would rate over this team, also spider-man has put a good fight up against people like Namor and Unstoppable Collosus who completely outclass this team, he's got the feats to support the fact he would mop this team. Only way this team even has a shot is if Batman gets prep and basic knowledge in which case he prob. goes down depending on duration. "I disagree, considering he's gotten amps. It doesn't make sense for a character to get weaker when they've gotten amps"
This is still wrong. His physicals, arent as good as before, not even close. Are you talking about the Civil War fight? That was just badly written. That Spider-Man was amped with the queens mutation and the "other" boost and had the Iron Spider. He should've crashed Cap, morals on or off. 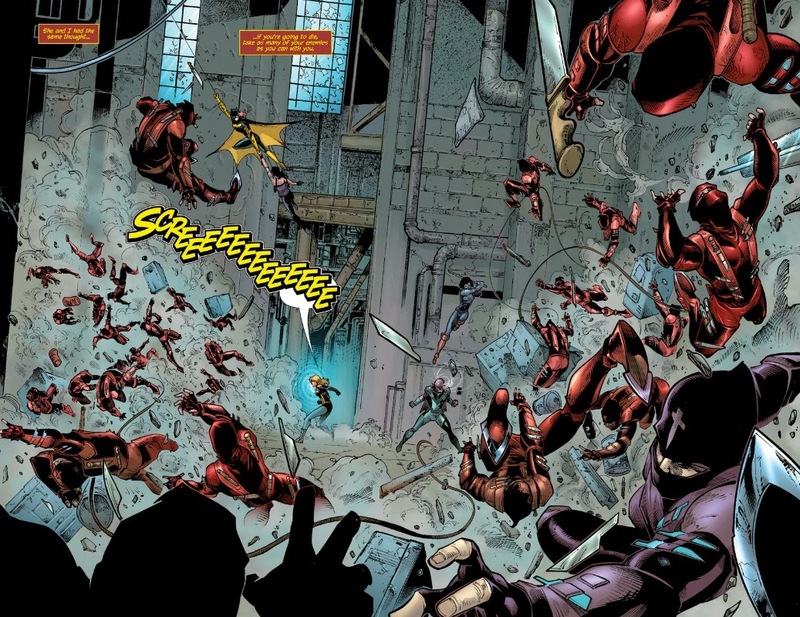 @g2_: I was talking about Civil War and the fight from The Amazing Spider-man #187. "He should've crashed Cap, morals on or off." I dont think so and I also disagree about your bad writing statements. I think Civil war is one of the best written Comic Books. @gcpd: In issue 187, Cap didn't even put him down. Spider-Man was highly inexperienced in that issue. And no, Civil War was a great story, but it had some PIS moments. @g2_: Yes he got the upper hand over him, by punching him several meters away with a single punch and blocking all of his punches without any problem. why was peter inexperienced there ? "And no, Civil War was a great story, but it had some PIS moments." Team should win with morals off, and Peter having his normal morals. He'd still have a difficult fight with all of them being in character, but he should still win if he's not jobbing.